1. Create an Email template and a list view. Make sure the list view is not reaching more than 10 records. 2. 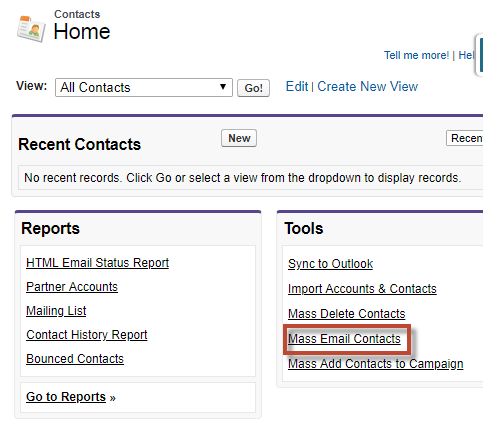 Go to Contacts tab for Mass Email Contacts and Lead tab for Mass Email Leads. 3. Select the list view. 5. Select the email template and click Send.